Michael A. Crouch, dean of Samford University’s McWhorter School of Pharmacy, has been appointed by Alabama Gov. Robert Bentley to the Health Literacy Partnership of Alabama. The partnership, created by executive order, will make recommendations to the governor about ways to improve the health literacy of Alabamians. The U.S. Department of Health and Human Services reports that nearly nine out of 10 adults have difficulty using the everyday health information that is routinely available in health-care facilities and outlets. According to Crouch, people with low health literacy are twice as likely as others to be hospitalized, are more likely to have chronic health issues and are less likely to seek treatment. Low health literacy is estimated to have added as much as $238 billion of unnecessary costs to an already overburdened health-care system. The Health Literacy Partnership of Alabama is comprised of 26 leaders in health care and education from across the state. “Since 90 percent of the U.S. population lives within five miles of a pharmacy, pharmacists working collaboratively with other health-care professionals will play a pivotal role in improving health literacy. I look forward to using my experiences as a pharmacist and educator to help identify ways to improve the health literacy of Alabamians,” added Crouch. Crouch received his Doctor of Pharmacy from the Medical University of South Carolina and is a third-generation pharmacist. Prior to his appointment as dean at Samford in 2014, Crouch served on the faculties at Virginia Commonwealth University, South University and East Tennessee State University (ETSU). 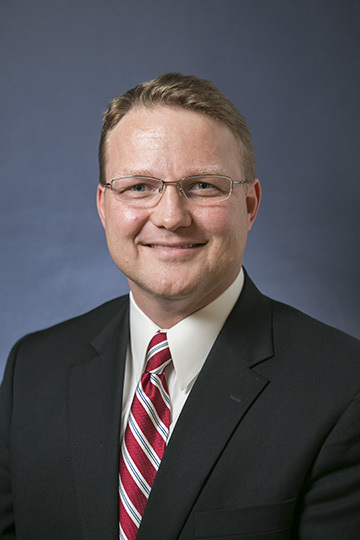 Administrative appointments have included serving as chair and professor of the Department of Pharmacy Practice at South University, Savannah, Georgia, and associate dean for academic affairs at the ETSU Gatton College of Pharmacy, Johnson City, Tennessee. In 2012, he was promoted to executive associate dean at ETSU. Crouch is an accomplished educator, clinician and researcher. He has dedicated much of his career to educating pharmacy trainees and has received numerous teaching awards. Crouch is a board-certified pharmacotherapy specialist. He is a Fellow of the American Society of Health-System Pharmacists and an active member of the American Association of Colleges of Pharmacy. He has more than 100 scholarly publications, including two books, Cardiovascular Pharmacotherapy: A Point-of-Care Guide and Securing and Excelling in a Pharmacy Residency. Katie Stripling is executive director of external relations for the College of Health Sciences, which includes McWhorter School of Pharmacy.